It's about Ankara. Eating-drinking, sightseeing, entertainment, history, art are all in Lavarla. We are now a member of this family. 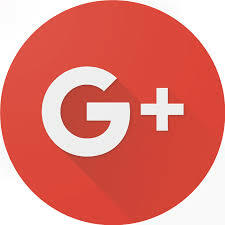 You can follow us from here. 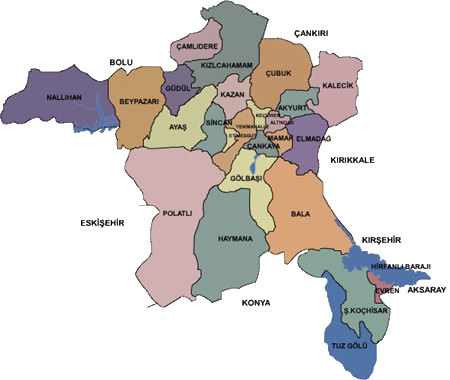 Ankara map, counties, sunrise and sunset times, distances between Ankara counties. 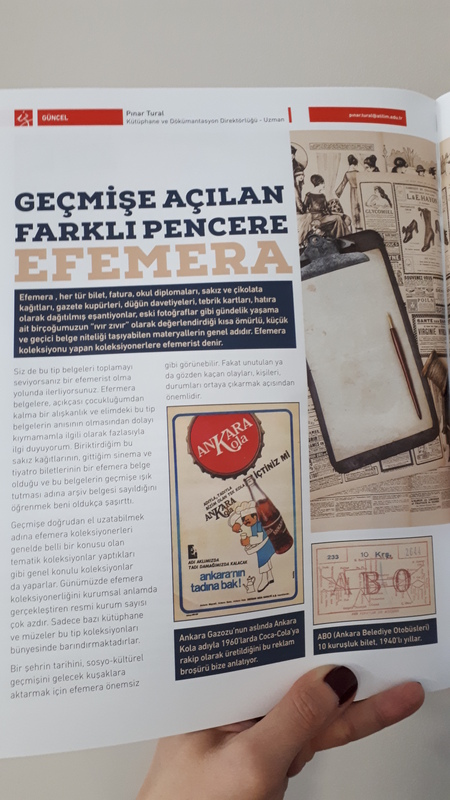 The article about the #efemara published in the #izdergisi of our university. This coach as the only original example of White Train that was used by Atatürk for local visits from 1935 up to his death was registered by the Directorate General of Monuments and Museums, the Ministry of Culture in 1991 as "the cultural value of Atatürk to be preserved". There is no saying that how many kilometres are run by Atatürk’s coach, which has been exhibited since 1964 at Ankara Station but it is obvious that it keeps the vigorous memories evoking the spirit of Atatürk. The Coach, which is 14,8 meters length and 46,3 tonnes tare weight, was manufactured by LHV Linke Hofmann-Werke, Breslau in1935. The Coach, which witnessed the history of Republic since it was allocated to the service of Atatürk, is continuing to carry all the values enlivened in the time of Ata with a great dignity. When the visitors of Atatürk’s coach see the guard room, bathroom, bedroom and the square living room at the end of the corridor in the coach, they will find themselves as if they accompany to Atatürk in his local visits. In the coach in which the chess and backgammon set beloved by Atatürk and panama mats chairs are exhibited, Atatürk’s radio which he listen Anatolian melodies during his journeys and his gramophone which he listen the records of the most important representatives of classic music like Verdi, Beethoven and Bach are among the important items presented to the visitors’ taste. White Train, which has an important place in the history of Turkish Republic, was not only a train used for the local visits of Atatürk, but also hosted to Great Turk, whose corpse was brought from Istanbul to İzmit by battleship of Yavuz after his death on 10th November 2015, in his last journey from İzmit to Ankara. You can visit the museum every weekday excluding Saturday, Sunday and religious holidays between 09.00-12.00 / 13.00-17.00. The entrance is free of charge. For the groups of 10 people and over, it is needed to be asked for an appointment. Müze Evliyagil from Müze Evliyagil on Vimeo. When we consider how collectors’ works are bought from exhibitions at galleries that last a few weeks, from fairs that last a few days, or from auctions in which everything is decided in a few minutes, we may become uncomfortable at how many works are spirited away after insufficient inspection to “private” spaces. Sarp Evliyagil wanted to open his collection to everyone wishing to see these “unseeable” works, or, in other words, to “museumize” it. The Evliyagil Museum allows this public viewing through temporary exhibitions with different focuses from works selected among hundreds collected by Chairman of the Board of Ajanstürk Sarp Evliyagil, including, due to his occupational interests, many original series of prints, plus the enormous statues which set the collection apart. The Evliyagil Museum was conceived in 2008, and from its construction in 2014-2015 in “center far from the center” İncek, it has enriched art in Ankara with a three-floor 750 m2 exhibition area, statue garden, screening room and library. 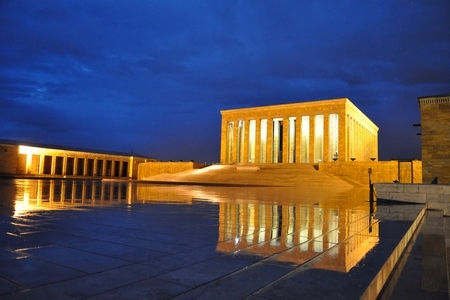 Anıtkabir, the eternal resting place of the Great Leader Atatürk, founder of the Republic of Turkey, is located in the heart of Ankara. The themes of reliefs and statues prepared for Anıtkabir are chosen from the history, the history of the Turkish War of Independence and the Republic, and Atatürk's life. The Great Leader Atatürk, achieved success by getting the support of his nation during his struggle to create an independent Turkish Nation under the concept of a democratic state based on national sovereignty. Atatürk instilled in his beloved nation that a nation's resoluteness and eagerness would save the independence and unity of the motherland against the invading enemy. It was this resoluteness and eagerness that enabled Atatürk to establish independent Republic of Turkey, and to make the necessary reforms to elevate Turkey to the level of contemporary civilization. His illness worsened and he passed away in Dolmabahçe Palace on November 10, 1938, in the fifteenth year of the Republic. He did not have a grave built for himself; nor did he leave a testament regarding the place of interment. In 1923, during a conversation, he said "Of course, I will die one day and you will bury me in Çankaya and keep my memory alive" and then added "Let my nation bury me where they want, but Çankaya will be the place my memory will continue to live ". Anıtkabir, which is the expression of the great respect and appreciation of the Turkish Nation for their Great Leader, is the most meaningful work of the Republic of Turkey. The Republic Museum is in the building of the Second Grand National Assembly of Turkey. The building of the Second Grand National Assembly of Turkey was designed by the Architect Vedat Tek in 1923 as the Republican People’s Gathering Hall. However, when the First Grand National Assembly of Turkey became insufficient, the function of this building was changed with the orders of Atatürk and was arranged as the Assembly Building and was opened to service in October 18, 1924. The building was constructed in two floors on the basement with face stones. The window arches, china panels on surfaces, wide eaves, and the hand-carved wooden ceilings with Ottoman and Seljuk motifs reflect the architecture of “Republican Period”. The building of the Second Grand National Assembly of Turkey is an important building that Atatürk’s principles and reforms were realized between 1924 and 1960, very important decisions were made for the development of our Republic, contemporary laws were passed, treaties favoring the international effectiveness and recognition of Turkey in the international arena were signed, and transition to a multi-party system was ensured. The second building of the Grand National Assembly of Turkey, which has an important place in the Turkish political life, continued functioning till May 27, 1960 for a period of 36 years. When the Grand Assembly was carried to the newly constructed modern building in 1961, this building was assigned to the Central Treaty Organization (CENTO). With the abolishment of CENTO, which functioned between the years 1961 and 1979, the building was handed over to the Ministry of Culture within the same year. It was decided that the front part of the building would be arranged as the Republican Museum and back part as the service building of the General Directorate of Ancient Objects and Museum. The museum part was arranged after the repair, restoration and exhibition arrangements, and was opened as the “Republican Museum” in 1981 in the structure of the Directorate of Independence War and Republican Museum. It gave services with this arrangement until 1985. In the same year, it was closed to visits and was re-opened in 1992 after the arrangements for exhibition. The museum building, which was closed to visits in 2001 for maintenance, repair and restoration works, was left closed for long years, and then the repair, restoration and exhibition-arrangement works were completed within one year according to the instructions of our Minister Mr. Ertuğrul Günay, and was opened to visits on October 29, 2008 with a contemporary understanding of exhibition. We therefore thank to our Minister Mr. Ertuğrul Günay and to Mr. Orhan Düzgün, the General Director of Cultural Assets and Museums of the time and to all those who contributed with their efforts. The Independence War (First Building of GNA of Turkey) Museum that was within the structure of Directorate of Independence War and Republic Museums was handed over to the Presidency of the Grand National Assembly of Turkey through the protocol signed between the Presidency of the Grand National Assembly of Turkey and the Ministry of Culture and Tourism on May 05, 2009. The name of the Directorate for the Independence War and Republic Museums was changed to “Directorate for Republic Museum” through the decision of the Council of Ministers dated 11.03.2010 and numbered 2010/ 251. In the exhibition of the Museum, events reflecting the periods of the first three Presidents of our Republic, their statements, photographs and some personal belongings are exhibited together with the laws passed and decisions made in their periods. The architectural construct of the building was also taken into consideration in the exhibition. THE ROOM OF THE SECOND GNA: This is the first room to the left of the museum entry. History of the building is exhibited with the support of photographs in this room. The stationery objects including the paper scissors, inkwell sets, and pencil sharpeners used by the Assembly, sample copies minutes of meetings and attendance books of the Representatives and the model of the building are exhibited in the showcases. ROOM OF ATATÜRK PRINCIPLES AND REFORMS: This is the second room on the left of the Museum entrance. In this room, The “Atatürk Principles” including Republicanism, Nationalism, Populism, Statecraft, Laicism and Reformism and the political reforms including “Abolishment of Sultanate”, “Making Ankara the Capital”, and “Announcement of the Republic” are explained on the panels. 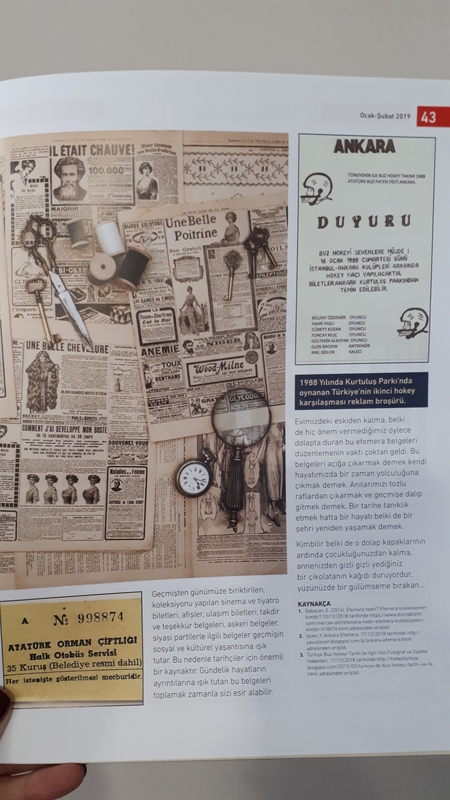 Versions of the Great Speech in the Ottoman and Turkish languages, the microphone used in the Great Speech of the 10th Year and the phonograph record containing the 10th Year Speech are exhibited in the showcases. ROOM OF ATATÜRK’S REFORMS: This is the third room to the left of the museum entry. In this room, the reforms in the legal area including “the Turkish Civil Law”, “Empowering Turkish Women to Vote and Being Elected”, reforms in the educational and cultural areas including “Unification of Education”, “Adoption of the New Turkish Alphabet” and “Establishment of the Turkish Language Institution and Turkish History Institution”; social reforms including “the Hat Act”, “the Surname Act”, “Adoption of International Time, Calendar, Digits and Measures and Weekend”, “Closing the Islamic Monasteries and Small Islamic Monasteries” and reforms in the economical and industrial areas through the establishment of the “Sümerbank Nazilli Cotton Mill” and “Alpullu Sugar Plant” are explained with the help of various object exhibited in showcases. 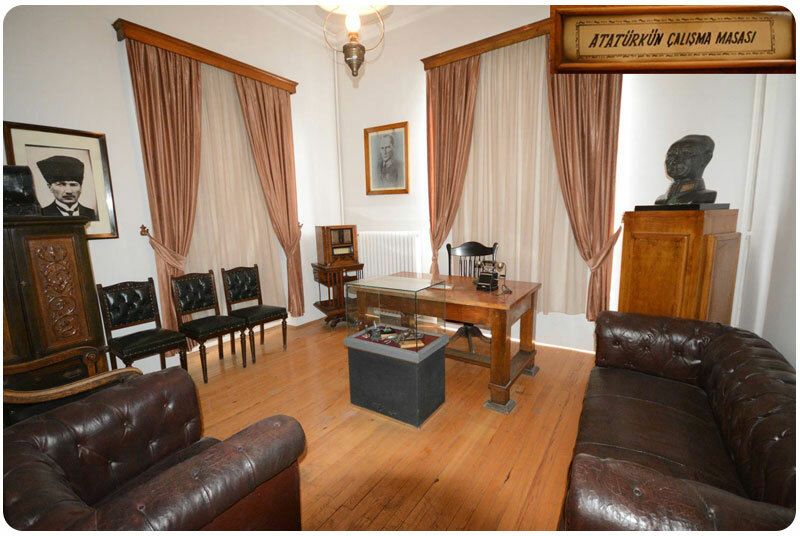 GAZİ MUSTAFA KEMAL ATATÜRK ROOM: This is the first room to right of the Museum entry. Life of Gazi Mustafa Kemal ATATÜRK, founder of the Republic of Turkey and the first President is exhibited in this room on the panels according to the chronological order and with the support of photographs; the articles about ATATÜRK in the foreign press are also included. In the showcases, accessories like attires, cufflinks, and pocket watches belonging to Atatürk, who was one of the men dressing in the most stylistic way, and the symbolic seal of the Presidency of the Republic with the phrase “Mustafa Kemal the President of the Republic of Turkey” a unique work of art made from solid gold in 1923. The seal is protected with a special alarm system. İSMET İNÖNÜ ROOM: This is the second room to right of the Museum entry. In this room, attires of the President of the Republic İsmet İnönü and his personal belongings donated to the museum and the souvenir medal given to İsmet İnönü after the Lausanne Peace Treaty are exhibited in the panels. CELAL BAYAR ROOM: This is the third room in the right of the Museum entrance. Life of Celal Bayar, third President of the Republic is explained on the panels in this room in chronologic order and supported with photographs. Attires and personal belongings of Celal Bayar donated by the Celal Bayar Foundation are exhibited in the showcases. MEETING HALL OF THE GENERAL ASSEMBLY: This hall is across the museum entry, and was used as the Meeting Hall of the General Board of the Grand Assembly of Turkey between 1924 and 1960, and up to 600 representatives had worked in this hall. In the hall, there are 116 hundred-year old wooden benches. Tribunal of the President is located in the midpoint of the entrances of this hall, boxes for the ambassadors are located in the right and left upper corners, the Honor Seat of the President of the Republic and the boxes for visitors and press are located at the back side of the hall. The ceiling of the General Board Hall is coated with wooden panels containing eight strand stars inspired by the Seljuk and Ottoman ornamentation arts. Atatürk’s Principles and Reforms were realized in this hall between 1924 and, contemporary acts were passed, important treaties were made, shifting to the multi-party system was ensured and Atatürk read his “Great Speech” here within the 6 days between October 15 and 27, 1927 for 36 hours and 33 minutes. With the purpose of ensuring exhibition consistent with the contemporary museum works, and attributing an educational role to exhibitions, the “Assembly Opening Speech” of Atatürk in his own voice and a special cinevision movie showing him entering the Assembly Building on November 1, 1932 to give his opening speech are given. SECOND FLOOR OF THE MUSEUM: In this floor, the Office of the Prime Minister, Office of the President of the Republic, Reception Room of the Presidency, Office of the President of the Assembly and the Offices of the Administrative Chiefs and Departmental Directorates are included respectively. Rooms were arranged with original objects according to the photographs of the period. The original furniture that was brought from the Dolmabahçe Palace temporarily and used in the Assembly Building between 1924 and 1938 are exhibited in the hall that Atatürk received the representatives of foreign countries and that is one of the most important halls in the building. The second floor of the Museum is not open for visits because of the static status of the building. Visits based on appointments shall be allowed in the future. 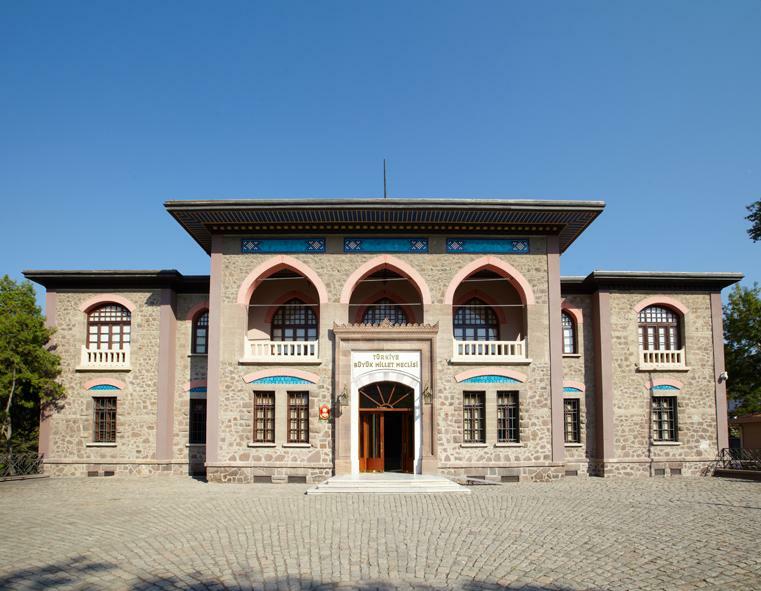 Ethnographic Museum was constructed on a hill, named as Namazgah, in Ankara. The Fact, which this hill is mentioned as “a rocky place where a martyr fallen in some sources, points out that the hill in question was probably used as a burial place in the Seljuks Period. Some sources give information about the fact that İzzeddin Keykavus built a medrese on the Namazgah hill. It is also known that the people perform the ritual prayers of Islam and rain prayer in an open-air prayer place which was built by a three-lined stones on a limestone rock surface in ancient times. In the Ottoman period, the hill was used as Muslim cemetery. This sacred hill, Namazgah, witnessed a number of important religious and national meetings, and also celebrations in the Turkish War of Independence. Various religious celebrations, rain prayers and soldier sendoff ceremonies were performed at this place in the early years of Turkish Republic. After the announcement of Republic regime in Turkey, M. K. Atatürk especially wanted to establish a state museum in Ankara. 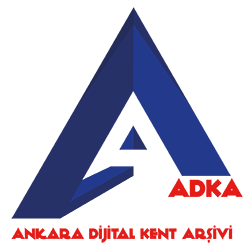 In the organization period beginning by the announcement of republic regime, a culture directorship under the Ministry of Education was constituted in order to examine and to preserve the national culture sources and public culture; under this organization, a constant culture commission was formed by the leading headworkers of this period. Because of the Great Leader Atatürk’s desire about a national museum, the preparation was started out to establish an Ethnography museum on the verge of keeping alive the national character and the national history of Turkey Republic. In a period which it was given importance to the national culture, the role of Ethnography Museum in this context was well understood, and the Ministry of Education took a decision to found a building of the Ethnographic Museum after the etudes of culture commission in 1924. Hamdullah Suphi Tanrıöver, the minister of Ministry of National Education, who found this decision very applicable, gave the start to the initial works about this matter, and he consulted to the Hungarian Turcologist Gyula Meszaroş, a friend of him from İstanbul Dar’ül Fünun, about founding the new museum in question. This appeal reflected to the report which Meszaroş submitted in 29thNovember 1924. 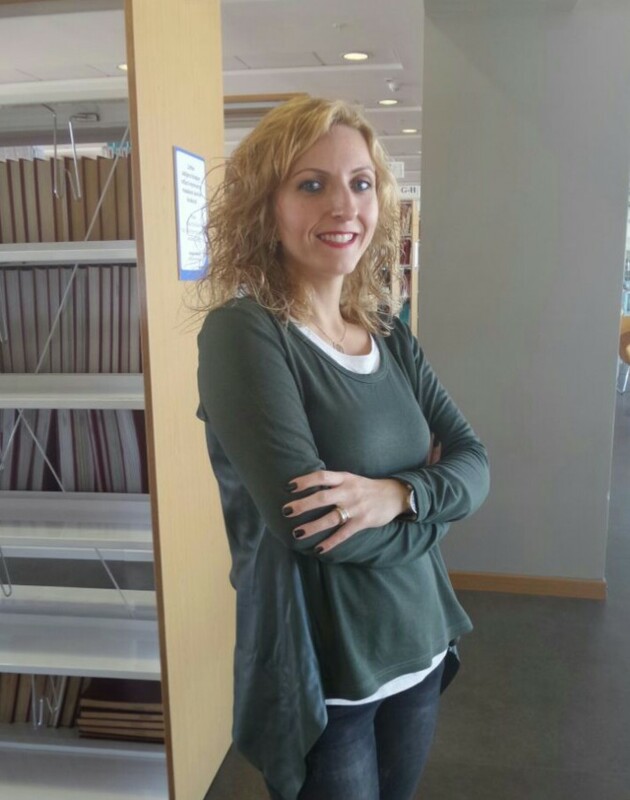 The initial preparations were carried out in İstanbul, and the required duties were specified in the organization report. In the introduction of the report, an extraordinary statement stands out: “An Ethnographic Museum has to be built as a model to the memory and the art of a nation to whom the museum exhibits artworks and it has to be in an appearance which causes national artworks to be liked and to be adopted by the nation”. In April 1925, Arif Hikmet Koyunluoğlu, an architect, was invited to Ankara by the ministry of national education, and the state governors informed him that they wish to construct a museum building in order to rescue the artworks which are obliged to decompose in their storage area, Ankara İmaret Mosque, so they requested from him to participate to these works. The terms of contract of museum building includes a sentence as follows: “Since the goods and the artworks which will be put into the museum are religious and national artworks, so this building must be in accordance with the artworks, and it must have to the inspirations and affects which are received from the Ancient Turkish Architecture”. Arif Hikmet Koyunluoğlu delivered his project that he created with the inspiration from Ancient Turkish architecture in accordance with the terms of contract in fifteen days. His project was approved and the museum building began to construct in 1925. By the order of M. K. Atatürk, the foundation of Ankara Ethnographic Museum as the first sample of State Museums in Turkey laid with a splendid ceremony in 25th September 1925. Inorder to put the first mortar to the foundation of this building, Koyunluoğlu gave in person the trowel to the İsmet İnönü ; and he has also the first foundation stone to him put into the foundation pit. The groundbreaking ceremony of this building which is designed as a museum from top to the foundation came to an end with a nice public speech of Hamdullah Suphi Tanrıöver, the Minister of National Education. Hamdullah Suphi Tanrıöver said as follows: “I am laying the first foundation stone of the State museum in Ankara where the traces of many painful or pleasant, new or old touching memories exist, and my dream is also to see such scientific, artistic and historical monuments following each other in other parts of our land.”, and thus he heralded the brilliant future of Turkish museum studies. According to another memory of Koyunluoğlu, the construction finished and while the cleaning staffs were working into the museum building, Mr. Cevad Abbas and M. K. Atatürk visited there. In order to kid to Mr. Hikmet, Mr. Abbas turned to Atatürk and told him as follows: “My Pasha, you always mentions about the importance of Modern Turkish Architecture. But, see, Mr. Hikmet adapted the museum building to the old madrasas. Thereupon, Atatürk responded to him: “An architect construct a building in a style which it is requested from him. We want to build this building with an inspiration that is acquired from the Ancient Turkish Architecture and the building must be accordance with the artworks in it. In other words, it is requested form him to build a building in a style of Old Turkish Architecture. He agreed our request and constructed the museum building properly. This museum building is also a structure which takes effect insiders from the outside. Hikmet is admirable, so he must not to be criticized”. After all, Mr. Cevad said that he made a joke to Mr. Hikmet Koyunluoğlu. In this course, a special commission was set up under the headship of Prof. Celal Esad Arseven and Halil Ethem, The Director of Istanbul Museums, in İstanbul, respectively the first by the 648 numbered order of Ministry of National Education, dated to 2nd July 1924 and the latter by the 3585 numbered order of Ministry of National Education, dated to 21st May 1925. 1250 pieces of artworks which were bought by the commission in question were firstly preserved in a room of Dar’ül Fünun in İstanbul. After the Hungarian Turcologist was employed to establish the Ethnographic museum by a contract dated to 1stFebruary 1924, the collection was transferred to Sülemaniye Küliye by the order dated to 12th August 1926. As the commission carried out its workings, by the order of M. K. Atatürk, Namazgah Hill, a foundation land and a quite important sacred place, was donated to the Ministry of National Education with cabinet decision dated to 15th November 1925 by Vakıflar Genaral Directorship, in order to construct the museum building. Arif Hikmet Koyunluoğlu, the architect of Ankara Ethnographic Museum, is one of the most valuable architects in early Republic Period of Turkey. As it seems, while he drew the project of this museum building, he made use of many Anatolian architectural characteristics including from antiquity to present day, since he has a wide acquaintance with the ancient history of Anatolia. The project in question includes a rectangle main building, a courtyard, a vaulted room with one side open to the court and a main entrance with vaulted iwan. The pediment of museum building consists of engraved marble. The entrance of museum building is formed of a monumental platform, on which it is climbed by 24 steps, and a triple entry system with 3 columns. This feature reflects the characteristics of entrances of Ancient temples in Anatolia. By using the monumental portal in the entrance and the practice of symmetrical façade, the architect wanted to emphasize the frontal feature that was used in both Seljuks and Ottoman architecture. The muqarnase column heads and the pointed arches connecting columns each other are the features of Seljuks architecture; and the vault above the entrance iwan has also a characteristic of Ottoman architecture. The architectural design including four iwans and an open air courtyard which are the important and constant elements of Turkish Architecture, and that was gained to the World Architecture by Turks, was practiced. In the middle of the courtyard, an open air marble pool was built initially. When this courtyard was reserved for the Atatürk’s temporary grave, the pool was carried to the garden, and the roof was closed. A number of small and large rooms are arranged symmetrically around the courtyard. For both façade order and the plan of complex, the museum building is quite symmetrical. The design of façade looking towards the northeast is quite simple. The two storied administrative section is near the main museum building. The museum building was constructed on an area of 854 m2; it is a rectangular structure which is lying in widthwise direction of its entrance. The structure consists of two parts, namely one stored museum in the front, which is built above the discontinuous basement story, and two stored administrative section in the behind of complex. The museum building which was laid its foundation in 25thSeptember 1925 was constructed in pursuant of Arif Hikmet Koyunluoğlu’s design by the Ministry of National Education, with the support of ministry of Finance. The construction of museum building was completed in 1926. Then, the structure was rearranged in the form of Ethnographic museum, in accordance with the report of Prof. J. Meszaroş, the Hungarian Turcologist. The artworks, which were bought for museum by the commission under the headship of Mr. Halil Ethem, the director of Istanbul museums, were brought from İstanbul and they were exhibited in this building. The basement story of museum building was covered with dark-colored clear-cut stones in the level of basement, and light-colored ones in the level of ground floor. The kind of these light-colored stones is küfeki which is a type of soft yellowish stone. Before the construction of museum building started out, it was found out küfeki stone quarry near Ayaş in the end of researches. In the written sources, Arif Hikmet Koyunluoğlu, the architect of Ethnographic Museum, mentions that the stones in question were taken out from this quarry and they were transferred to the construction area within 10-12 hours. In this period, the walls of ground floor of structures were generally built with rubble stones, and these walls in the upper stories were built with bricks and they were covered by cut stones. During this period, as in the Renaissance period, the rows of rough stones, which are generally formed of the surface covering of basement story, reflects the rustic aspect of basement of this building. In the ground floor of this building, the dark-coloured Ankara Stones (Andesite) were used as a covering material. Another material used in this complex is marble. The parts around the windows, the pediment of entrance, stairs, arches, columns and column heads, pavements of vaulted and columned places in museum building were made of marble. In the façade of this structure, marble was used as a covering material from place to place in the upper parts. The lower part, where a library was arranged in the sequel, was covered with marble. The marble used in the building was chosen from the Marmara Island by Mr. Koyunluoğlu. These blocks weighing 10-20 tons were transported by trains; they were taken down from the vehicles with labor force and were carried to the Namazgah hill by oxcarts. The blocks in question were supplied by Mr. Salih Sabri Karagöz, the owner of marble quarries in Marmara Island. The floors of exhibition halls and administrative rooms and the storey stairs were covered with mosaics. However, a number of new brick kilns were established in Akköprü and Frenközü near Ankara by Mr. Koyunluoğlu. Although the roof was covered with tiles in the past, the covering of this roof was converted to copper ones afterwards. The outer dome is covered with lead. The doors in the main entrance and the frames of windows were made of wooden materials. The general accessories of museum building belong to the Mr. Koyunluoğlu. For example, the relief moulds of bronze ornaments on the dome were engraved by Mr. Koyunluoğlu and these moulds were casted by Mr. Hakkı, a master smelter of this period. The stone masons came from İstanbul. The marble workmanship in the museum is the creation of Master Hüseyin Avni whom Koyunluoğlu worked with for 40 years beginning from his pupilage period in Sanayi-i Nefise. In his memories, Mr. Koyunluoğlu mentions that he worked there as a master mason, a concrete blacksmith, in addition to his architectural duties. A symmetrical mass modeling was used in the façade pattern of this museum building. This tradition requires that the façade of building looking towards the main road or a square is animated with architectural and decorative elements. This tradition is also in use for the Ankara Ethnographic Museum. Therefore, the façade of structure was treated differently from the other sides of building. Despite of the compact design in the façade, the other sides i.e. the posterior and the lateral façades of this structure have a considerably simple aspect; these sides were restrictedly animated by means of windows and corner pillars, which its lower and upper parts are in the form of sandglass, formed the corners of building at the beginning, and then left in between by the halls added to the main building in the following period. In fact, the structural and decorative elements of Ottoman architecture were used intensively in the façade of the museum structure. All stylistic features of this period were reflected to this façade of building. The façade was vertically divided into parts. In the middle of it, an entrance is found. On both sides of this entrance, there are two main sections, each for one side; and a protrusive and raised section with one window also appears in each of corners. Every section was arranged as a whole within itself. The halls in the corners of façade and the entrance section in the middle reflect the symmetrical mass design of the period in question by their protrusive and raised forms. This design was animated by means of this façade structure. The main entrance, i.e. the symmetrical axis of this building, has a characteristic design for the tradition of portal, as in many structures of this period. Namely, it was especially aimed to emphasize the door of this building. The stairs in the middle of façade, the arches and columns are an expression of this architectural comprehension. The protrusive and raised main entrances, which were intensively used in Ottoman Architecture, became a characteristic for the buildings of this period. So Ankara Ethnographic Museum has an entrance which has shown the same characteristics in question. From the façade of this building, it is reached to inside of museum by two staged stairway including 24 stairs in total. The stairway including 12 stairs in second stage is trilateral. In both side of the stairhead, there are three stone sculptures in form of lion. The entrance order consists of four columns with Muqarnas column heads, the pointed arches connecting these columns and three protrusive arches as well. In this entrance, three wooden entrance doors which were placed side by side were decorated with low arches. Above these three entrance doors, a ceramic decoration fills into the pediment which is surrounded in the form of a pointed arch. In this period, the main entrances of the buildings were sometimes built as portals like here by inspiring from the ancient Turkish architecture. It also seems that the domes using on the entrances sometimes used to give a powerful impression to the entrance in a stylistic manner. The entrance order including stairway, columns, arches and dome appears in this structure as well. This monumental entrance which has stairs was emphasized by decorative architectural elements, a rectangular pediment, which its edges ended as half pelmet, in the middle, a frieze consisting of prismatic triangles in the end of arches, columns with muqarnas column heads and arches over them. In addition to this monumental entrance in the façade of building, a simple entrance with low arch, which was climbed by double sided stairs — five for each side, is found in lateral façade of the building as well. The façade of this building contains eight rectangular windows with grills. The windows were surrounded by marble slabs, in order to gain a rectangular order. There are three windows in each side of main entrance and two each more in two corner protrusions of the façade. Under the three each window in both side of entrance there are rectangles plates, and a pediment in the form of pointed vault is found above each of these windows. In the corner protrusions, there is one each window in the same order. A niche in form of mihrabiye is found in both sides of these sole windows. These windows and niches were surrounded with rectangular marble slabs. A design, which consists of smooth or profiled defacements surrounding the rectangular windows entirely, was frequently in use in this period. In both sides of entrance, two waterspouts are found between the windows. In the lateral façades of main building, each wall, except the ones of appending halls, were animated with four rectangular windows. In a drawing of lateral façade of Metin Sözens’s book, the herbal decorations between the windows don’t exist in the present day. Although these decorations were designed, they may not be engraved, or they were probably removed for an unknown reason. The windows in the lateral façade of main building were arranged as the ones in the façade of museum, but the marble weren’t in use around them. In the posterior façade of this building, two storied administrative section is opened to the outside by one low arched window which was placed in each side of entrance door in the lower storey, and by six longitudinal rectangular windows which were arranged in dual groups in the upper storey. The administrative section in the upper storey is opened to the outside by two longitudinal rectangular windows in each lateral façade of building, and the corridor by another rectangular window that is raised along the stairway. Each of two saloons appending to the main building in later times were lightened by three longitudinal rectangular windows near the roof. The longitudinal strip windows which generally become widespread in the office inns were also used in walls of these appending halls. The basement covering under the entire area of museum building was divided into two parts; it was designed as two each rectangle storage areas under a number of halls, nos.2, 3, 8 and 9, in each half of the museum building. Then, since it was requested, the soil in the lower part of front side of building was moved, and new sections for the educational purposes were added there. The area that is the left part of this section in the façade is used as a library. The library is a rectangular hall, where book shelves cover its three walls, in the left side of monumental entrance and it can be reached there by a number of stairs. Briefly, a library, cupboards for artworks, a boiler room, a kitchen and toilets are found in present day in the basement of museum building. It can be reached to each of these sections from the outside. For example, the first door in the left side of building is for the boiler room; the second one for depot of metallic art works and the third one for depot of ceramic and glass artworks. From the transversal section of complex, it also appears that the order of monumental stairway, its domed entrance, the open aired courtyard, and the middle of two storied administrative section were arranged in a symmetrical axis. As the museum building was about to be completed, some meetings for the artworks were carrying out. Meanwhile, the society of artist wanted to make use of the unoccupied situation of this building and achieved to get permission to arrange an art exhibition, so the paintings of prestigious artists as İbrahim Çallı etc. were exhibited in the museum building in 1925. After the construction was completed, Hamit Zübeyr Koşay, the ex-cultural director, was appointed as the new director to the Ethnographic Museum of Ankara in 1st June 1927, and he remained in his office until 13th March 1931. In the same year, The Ministry of National Education made to sculpture a massive bronze statue of M. K. Atatürk— Atatürk is riding a horse in this description. The statue in question that was made by Pietro Canonica, an Italian sculptor, was opened in 4th November 1927. The Ankara Ethnographic museum functioned as Anıtkabir for 15 years. It became a place where presidents, envoys, foreign delegates and the people visited the grave of M. K. Atatürk. 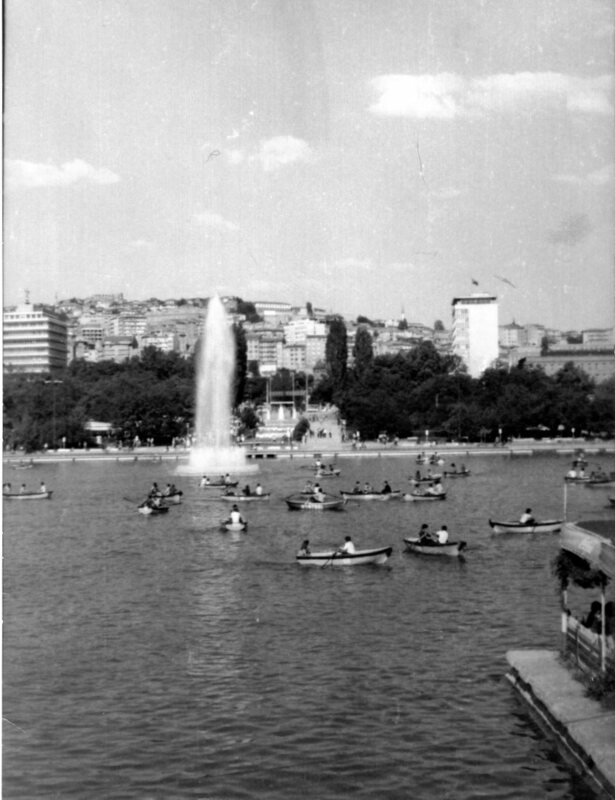 During this period, the workings was carried out in the museum; after some required changes in the building, the Ethnographic museum of Ankara reopened its doors to public, owing to the International Museums week, in 6th-14th October 1956. The Ethnographic museum of Ankara, that has a remarkable role for culture, arts and education, received various collections from its opening to the present day. In 1932, the collections as fishing, cultivation, embroidery, silver working etc. about the general ethnography were exhibited in the museum. However the collections including vehicles about the fishing, agriculture and transportation, which were bought from Hamburg before, were restituted as training equipments to the Anthroplogy chair of Dil ve Tarih, Coğrafya Faculty, since they occupied much place in the museum building. Since the ministry of National Education formerly considered necessary to be constituted the Turkish Revolution History and Painting departments under the roof of museum building, the artworks about these two departments were gathered in the museum, but by the order of ministry of National education dated to 22nd September of 1943, these artworks were delivered to the chair of Turkish Revolution History in Dil ve Tarih, Coğrafya Faculty, and a honor certificate was given to the Ethnographic Museum of Ankara by a decision registered as no.12 by the ministry of National Education. The paintings of Turkish artists collected from the exhibitions were firstly transferred to Gazi Eğitim Institute, and then they were delivered to the Art and Sculpture museum of İstanbul. According to the common decisions of the ministry of National Education and the ministry of justice, şeriyye registers, which were abolished by the order numbered 4018-2182, dated to 3rdFebruary 1943, were partly transferred to the Archive bureau of Ethnographic Museum, but they were subsequently gathered in the National Library, because of the areal disability. In 1950s, there was a small atelier for art restoration in the Ethnographic Museum of Ankara. This atelier answered the necessities of both museum and its region. The atelier in question doesn’t exist today. In 1948, Ethnographic museum was a place where entire ancient pieces were preserved in Ankara. Especially many goods gathering after abolishing the dervish lodges and the hermitages (1925) also enriched the inventory of this museum. The goods belonging to a number of sects as Bektaşi etc. were put in safekeeping there. The court registers were brought as historical documents to the museum building from the provinces around Ankara. In addition to the precious handworks and laces for the popular culture, beautiful samples of Turkish woodcraft as doors, pulpits and ceilings were gathered in the Ethnographic museum of Ankara. Besides the ethnographic artworks, the archeological pieces from Anatolian excavations were exhibited in this museum in the past. In other words, since there was no archeological Museum in Ankara, the archeological artifacts in the Ethnographic museum of Ankara as a state museum were exhibited besides the ethnographic artworks; especially the pieces from the excavations as Alacahöyük, Alişar, Ahlatlıbel etc. were kept under the roof of museum for a while. Then, the archeological findings were transferred to the Anatolian Civilization Museum, a structure which was raised by the restoration of historical covered bazaar building, i.e. ‘Bedesten’, dated to the Ottoman period. The manuscript collection in the Ethnographic Museum of Ankara includes tomes, illuminations, miniatures and many beautiful artifacts of Turkish scripture art, which are dated to a period from 11th century to the present day. According to written sources, the Ethnographic museum of Ankara, which possess a great number of artworks exceeding almost twenty thousand items according to inventory of 1973, was one of the most prosperous ethnographic museums in Turkey; the materials exhibiting in the museum were divided into two groups, i.e. the ethnographic artifacts and the ones about Art History, and they were exhibited into ten halls in the museum in 1981. The order of exhibition was arranged as follows until 1981: The halls in the right side of museum building was reserved to the ethnographic items which bring out the actual body of museum, and the ones in the left side to the Turkish-Islamic artworks and the cultic objects in general. From the right side of the museum, the order in question followed in this manner: Hall 1 was the dress section and included public dresses with golden and silver embroideries; Hall 2: the artifacts about Turkish embroidery art as bridal dresses and wedding suits, socks, the head scarves, namely ‘yemeni’, ‘çevre’, ‘peşkir’, wedding bundles, bedcovers, waistbands, pouches, boleros, shoes, slippers, mirrors, silver jewelries, chests, closets and lecterns etc. ; Hall 3: carpets, rugs and other artifacts related to the Turkish weaving art; Hall 4: copper handiworks and the artifacts related to the Turkish Kitchen, as cauldrons, churns, basins, trays, metallic waiters, shallow frying-pans, bowls and plates etc. ; Hall 5: A guest room from 17th century was exhibited in this hall. And the artifacts related to mysticism, the history of sects and Turkish Islamic Art could also be seen there; Hall 6: the artifacts related to the sects were found in this section; Hall 7: It was also called as Besim Atalay Hall. The ethnographic artifacts in this section were partially comprised of the ones which were gathered by the grant of Besim Atalay in 1963, and the rest of these artworks were gained to the museum by means of his testament after his death. Pots and ceramics from Çanakkale, stick points, mouthpieces, glasses, ceramics and faiences were also exhibited in this hall. However, the artifacts as arrows, bows, pistols, rifles and swords were found in this section; Hall 8: the precious samples of Turkish Scriptural art; Hall 9: It was reserved for the artifacts related to the Ottoman woodworking; 10: The artifacts about the Seljuks woodworking were exhibited in this hall; the most beautiful samples of Anatolian Wood art were found among them. The restoration works which was carried out both inside and outside the museum building in 1981 was completed in 1982, and new arrangements for the lighting and the exhibition area were made in this process. This exhibition order has comparatively carried out today. In the domed entrance hall, there is souvenir rayon, a ticket office and seating groups for visitors. In both side of symbolic grave of Atatürk, the photos related with the death of great leader are exhibited today. The artworks in the museum are grouped as the sections, named the dresses and handworks, the hand looms, the metal artifacts, the glass artifacts, the collection of Besim Atalay, the manuscript and wooden artifacts. Many of these items are exhibited into the vitrines in the form of glass case with wooden frame. Briefly, there are artifacts dated from Seljuks to the present day, which were provided from the various sites of Anatolia, in depots and the exhibition of Ethnographic museum of Ankara. Today, the Ethnographic Museum of Ankara is a place where the artworks from Seljuks period to the present day are exhibited. The exhibition saloons exposing the wedding ceremonies and the bridal dresses from the various provinces of Anatolia, Turkish handling art, the art of carpet and rug weaving, the art of metalworking, the coffee culture and the posthetomy ceremony in a thematic manner are found in right side of the museum entrance. “Direksiyon Building”, which was one of a few state buildings in Ankara during the War of Independence, is still continuing to be an alive witness for that magnificent and glorious battle. When you visit this building in which the most important decisions taken, it seems as if you will go to the battle years by travelling in time, feel the hard times and witness the soul of the first years of Republic. Direksiyon Building, which is located within the premises of Ankara Station of Turkish State Railways and was built during Baghdad Railways in 1892, was allocated to Atatürk upon his arrival in Ankara on 27th December 1919 as a Supreme Military Command Headquarters and residence.
. The proverb of “Authority, without any condition and reservation, belongs to the nation” was firstly pronounced by Great Leader in this building. In order to cherish the valuable memory of Atatürk, TCDD rehabilitated this building that has a significant place in the history of Republic of Turkey and taken part on the stamps which remind the first death anniversary of Ata, opened it as a museum to the public on December 24, 1964. 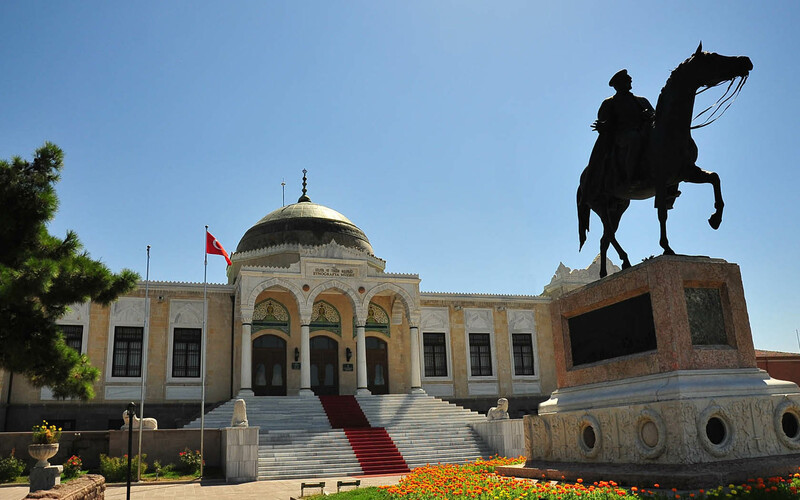 Atatürk Residence Museum has the characteristic of being the first Institution Museum as a private museum statute under the control of the Ministry of Culture. The stone building, which has an original key block, stone decors on its corners and wooden eaves, was designed as two-layered. The window decors with key block are simple and they are the only ornament item in the building. The museum is still continuing to carry the spirit of the history of TCDD and the War of Independence to its visitors. In the Residence of Ataturk of which its 1st floor is designed as Railways Museum, various documents regarding to railways from 1856 up to now, memory medals, switches used in that period, rail samples, belongings like silverware are exhibited. Also, the stamp used in the period of Ottoman Empire, diploma, identity cards, tickets, locomotive plates used by TCDD in train operation, telephone and telegram machines used for the communication are presented to the visitors’ taste. Gold plated miniature wagon, given as a gift to Sultan Abdulaziz by British Government, worktable with mother of pearl inlaid used by the sultan in his private wagon, wall clocks, pickaxe and shovel used by Ataturk during the ground breaking ceremony of Samsun-Çarşamba Railway Line in 1925 are among the artefacts of the museum. The model of steam engine locomotive, gives as a gift to Mr. Behiç Erkin, the first Director General of TCDD by German Railways is also among the worth-seeing artefacts. The painting, which is named as “The Women Carrying Oxcart in the War of Independence”, and one of the most important artefacts of world-famous impressionist Mr. İbrahim Çallı, is also exhibited in the museum. This classic of Çallı, belonging to 1920, is 3 meters length and 2 meters width. The original and solid frame of the painting reflects the carpentry of that period. This painting has a particular importance as it is the first artefact of the greatest paintings of Mr. Çallı. You can go to upstairs through the high ceiling stairs located in the first floor. The second floor of the museum was designed as a Residence-Museum in which there is a reception room, workroom and bedroom of Ataturk and the room of Mrs. Fikriye. In the museum in which the private belongings of Ataturk and Mrs. Fikriye, Vatan Yevmi Newspaper dated 1340 (1924) donated by Mr. Hayri Özdinçer, the nephew of Mrs. Fikriye, in which the notice of the death of Mrs. Fikriye was published, birth certificate, family tree, photos, bed cover, oud and the furniture bringing the past memories to the present are being protected like the first day. 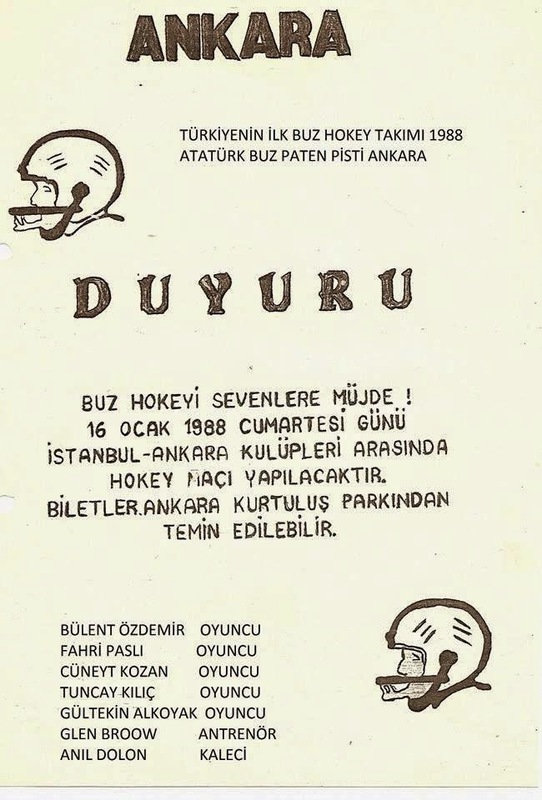 Played at Kurtuluş Park in 1988, the second hockey match advertising brochure Turkey.